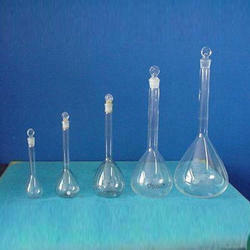 Our company has gained name and fame in presenting Glass Conical Flask. We have carved a niche amongst the most dominant names in this domain, instrumental in providing excellent quality range of Glass Flask. Owing to the presence of our expert team members, we have been able to offer a wide range of Laboratory Flasks. These flasks are acclaimed for their dimensional accuracy and fine finish. 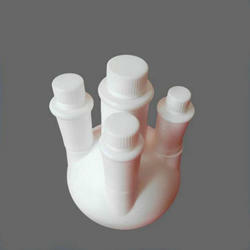 Following the requirements of clients, we offer these flasks in various range and designs. These are acclaimed for their effective usage. Being a customer oriented organization, we are deeply engaged in offering a wide array of ERLENMEYER FLASK. Interchangeable joints, adapters, receivers adapters, miscellaneous fittings, stirrers, condensers without joints, flasks, functioning columns, separating/dropping funnels.